So far, I’ve done Top 50 rankings for two years. 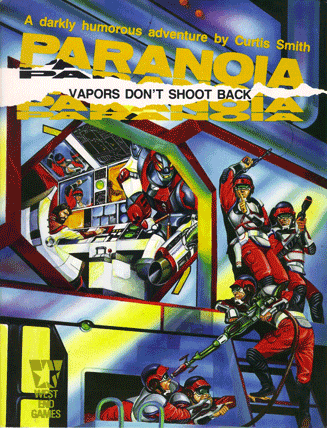 Paranoia appeared in both sets, at number 21 in 2016 and then an even more respectable number 2 in 2017. So, yeah, needless to say, I really like this game. 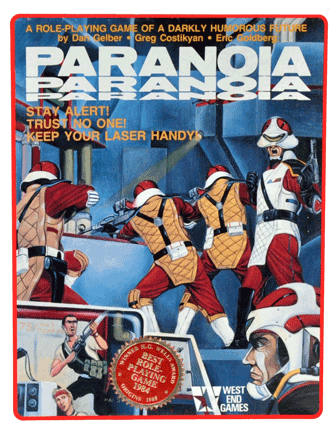 Paranoia feels unique. 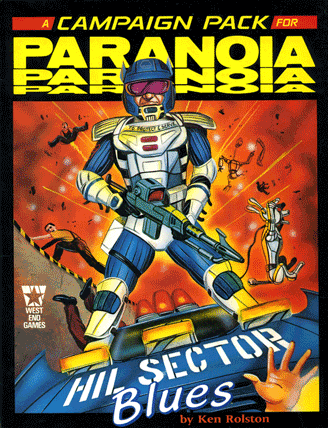 It is often described as a cross between 1984 and Monty Python and though I might use that description myself at times, it doesn’t really do the game justice. There’s so much more scope to it and this bundle really showcases that range. 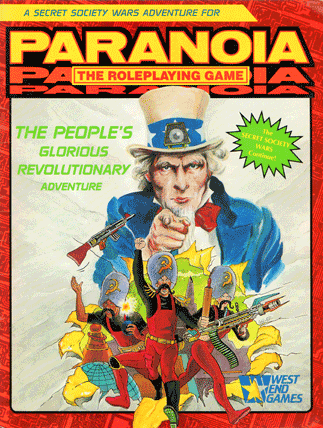 Orcbusters: Ken Rolston’s much-loved 1986 sendup of fantasy RPGs. 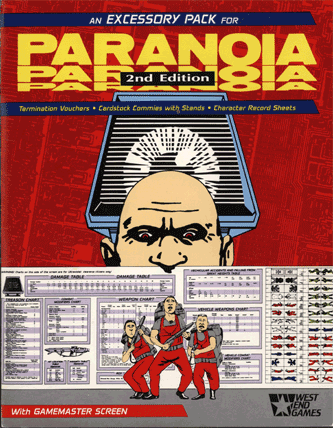 If you’re looking to explore the first edition of Paranoia, this tier will give you everything you need. You have the rulebook, some GM accessories, some forms (but see a previous post on this blog for more forms) and some adventures. The core book is full of dark humour, but fosters a setting with a serious and sinister tone. 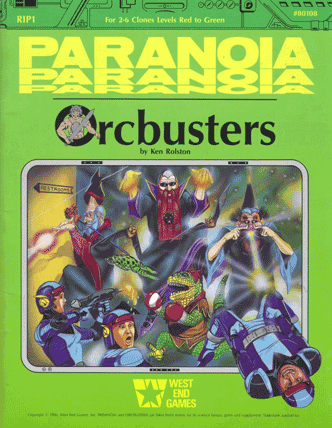 The supplements play up the humour, with Orcbusters being a particularly interesting adventure, which features an inter-dimensional portal giving access to a parody of a stereotypical Dungeons & Dragons setting. 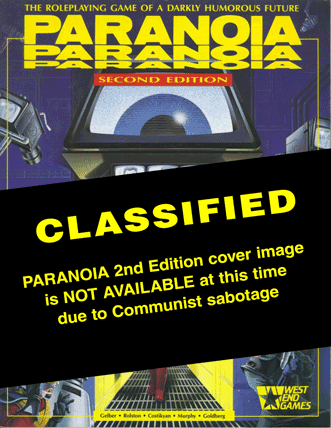 The second tier will, as mentioned above, give you the second edition of Paranoia. 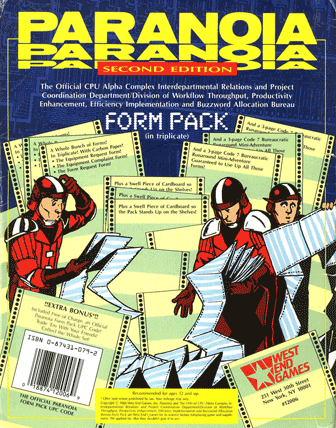 Second edition is my preferred version of Paranoia (though I’m giving the new version a chance) and that alone makes the jump in price worth it. 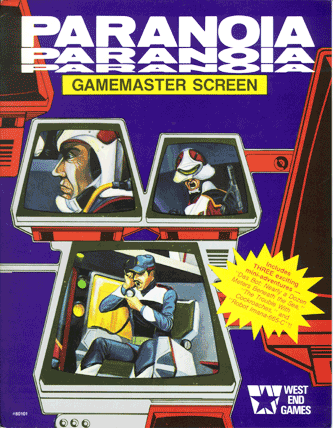 It’s just a better, more fully realised game than the first edition. They’d also found their voice more, particularly in balancing the humour with the menace of the setting. 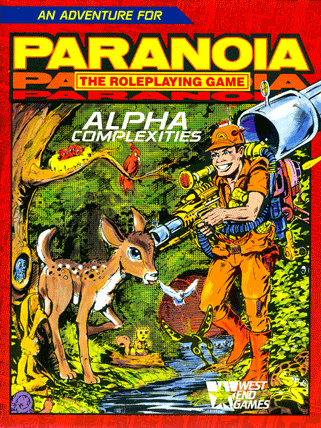 In addition to the updated set of rules, there are a number of supplements. The adventure that I really like from this set is the highly acclaimed The Yellow Clearance Black Box Blues. 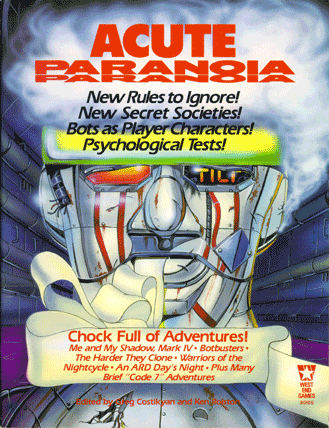 This adventure features every secret society competing to obtain a black box of unknown content. This scenario won the H.G. 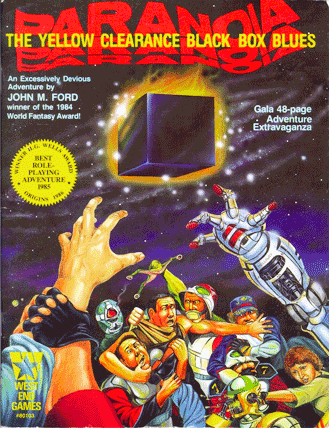 Wells award for Best Roleplaying Adventure of 1985. As usual, you can click here to visit Bundle of Holding and pick up the offer. 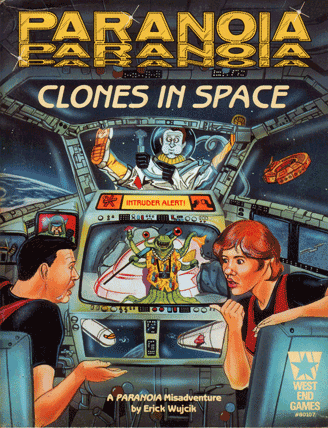 As an aside, do you reckon that the labelling of this bundle as “Paranoia Classic” means that we will soon be getting a bundle that features newer editions of the game? 5th (3rd) Edition or XP, perhaps? We’ll have to wait and see on that one, I suppose. The charity to benefit from this RPG bundle of dystopian, Orwellian sci-fi is, in a wonderful example of synergy, Human Rights Watch. Farewell, and remember: The Computer is your friend!